Kieran Doyle, managing director at Oilgear, explores the innate features and processes that can ensure hydraulic pump performance is not simply defined by basic certification, but offers further benefits to the application that reduce the risks of downtime. Pumps for hydraulic applications are typically highly specialised towards certain applications and environments, a reality which must be noted by the MRO professional. While a pump may achieve certain certifications such as those outlined by DNV GL, Lloyds and API which can guarantee a certain level of competency, how does this actually translate to specifying a replacement for a particular application? A primary consideration when assessing certifications is to realise that they simply represent a bare minimum. The certification for a particular industry or environment will denote that a product could be used in a certain application, but will offer no guarantees as to its continued performance in that chosen environment. While a low duty pump may be certified for use in a marine environment, you wouldn’t automatically integrate it in a heavy duty winching application for example. As a maintenance professional, simply specifying a certified product offers little reassurance that the chosen solution will be up to a particular task. The first step to specifying a reliable replacement hydraulic pump is to pick a specialist with pedigree. Hydraulic pumps are used in a wide range of industries from subsea to mobile vehicles, so selecting a manufacturer that has a proven track-record in multiple industries is a good start. A suitable manufacturer will aim to achieve a balance between reliability, quality and cost-effectiveness across their pump range – which will incorporate innovative features to tackle specific application challenges. Even in the same industry, operational demands vary widely, so defining a suitable product with characteristics suited to the system is paramount to ensuring reliability. This may increase initial purchase costs, but is nothing in comparison to repeated periods of downtime. A manufacturer that is able to offer unique design advantages in a range of pumps usually takes an entirely in-house approach to the origination of products. Choosing a supplier that combines design, manufacturing and testing facilities in-house ensures increased consistency of production, reduced lead times and a more cost effective approach – which transmits savings to the purchaser. Specifying from a manufacturer who uses rigorous product testing policies can ensure that a selected product will display the utmost reliability. 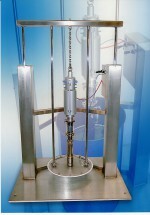 Utilisation of a range of standard and bespoke test rigs to accurately recreate certain operational conditions can greatly increase confidence in a product, as it has been proven to perform under the stresses of certain applications. A fully tested product, tailored to your application, will provide greater durability and performance than a product that is simply certified. Hydraulics is a mature sector, so selecting a manufacturer who uses certain technologies to achieve an operational advantage is good policy to ensure a replacement pump provides ultimate performance. The implementation of new material technologies has enabled the latest designs to offer durability when operating with low lubricity fluids, a situation usually encountered in the offshore or marine sectors. Using equally hardened, specialised alloy surfaces that run opposed to each other, for example from the valve plate to cylinder barrel or the steel shoes to swash block, can increase durability in operation. It also safeguards pump performance when running at higher temperatures, while also enabling greater contamination resistance. This is a specialist technology that is specifically designed for high application demands in challenging environments and would not be signposted by a typical certification. Similar technologies include the use of hydro-dynamic bearings in hydraulic pumps, which also serve to enhance durability. The cylinder barrel runs on a thin film of fluid instead of using rolling contact bearings. This lack of contact between moving parts ensures almost infinite bearing life, while also eliminating a potential source of contamination of the hydraulic fluid. This simplicity of design approach ensures increased reliability and a reduced number of parts that can possibly fail, which is ideal for a maintenance team. An installed pump is therefore going to require less maintenance, and will operate effectively for a very long time, lowering the total cost of ownership and overall maintenance expenditure. Innovative design features, such as a pressure lubricated swash block, can offer pumps that are perfectly adapted to very demanding applications. This design provides constant lubrication to the saddle bearings for high pressure and high cycling applications. Other benefits include a reduction in overall pump hysteresis. Again, this specific design can bring significant increases in service life during demanding applications, which would make it ideal as a pump replacement in a highly specialist application. Specifying an adequate replacement pump is therefore not simply signposted by certifications for suitability in differing industries. Applications even in the same sector vary. The question to ask as an MRO professional is ‘does this pump display the features to tackle the demands of my specific application?’ Working with low lubricity fluids, or serving a high duty application, require specific solutions and expertise. The first point of reference should therefore, always be a trusted manufacturer or expert. Certification should be treated as an absolute bare minimum, rather than the bar of quality. In addition, time taken to discuss your application requirements with a design expert will ensure the final product specification meets your exact needs. By following this strategy, you can minimise not only downtime, but maintenance and ownership costs when specifying a replacement hydraulic pump. Jonathan Walker, engineering manager at Oilgear, explores the innate features and processes that can ensure hydraulic pump performance is not simply defined by basic certification, but offers further benefits to the application that reduce the risks of downtime. PWE spoke to Cliff Warne, UK sales manager at Axflow, to discuss the differences between Rotary Lobe and ECP pump technologies. Lesley Eaton, business development and marketing manager, SEEPEX, looks at how progressive cavity pumps can overcome the toughest processing challenges. Transferring high viscosity creams, pastes and gels which do not flow readily can present challenges across many process applications. An effective and practical solution is said to be available from liquids handling specialist PUMP ENGINEERING who offers a CSF piston pump mounted in the centre of a follower plate which fits into a drum and seals against the inside of the drum.